No trip to India is complete without visiting the Taj Mahal. 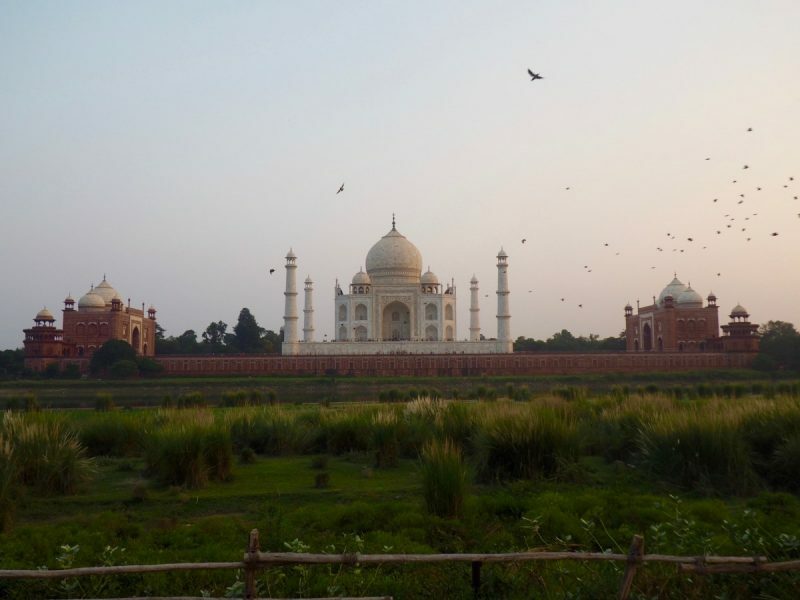 Known globally as an act of love as well as a wonder of the world, people venture from all over the globe to witness the mausoleum that stands majestically over the River Yamuna in Agra, North India. 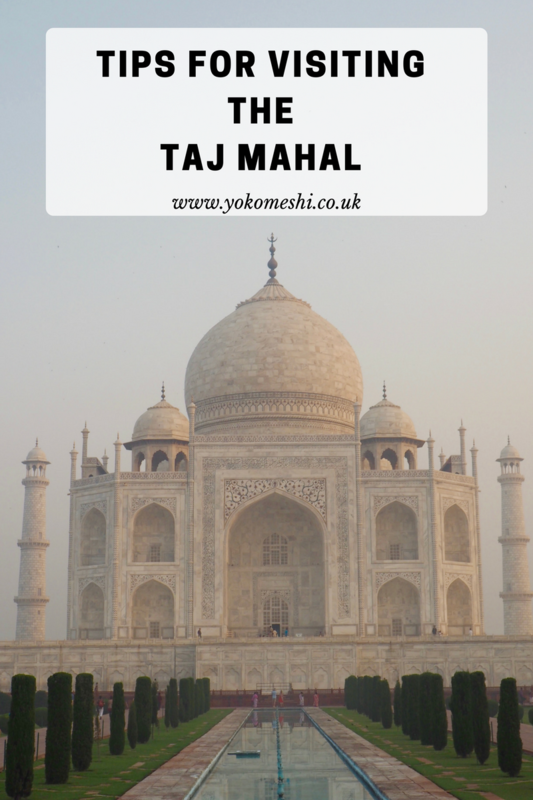 Millions of people visit every single year, so here at my tips for visiting the Taj Mahal to help make it as memorable as possible. It was built between 1631 and 1648 by over 20 thousand workers, under the instruction of the Emperor Shah Jahan, for the tomb of his beloved wife, Mumtaz Mahal. Mumtaz Mahal and Shah Jahan were married for over 19 years and bore 13 children. History says that they had a deep and everlasting love, and were best friends. In fact, Mumtaz Mahal was one of his closest advisors in all of his royal affairs and even travelled with him to all of his military campaigns. When Mumtaz Mahal died in childbirth, Shah Jahan was completely devastated. 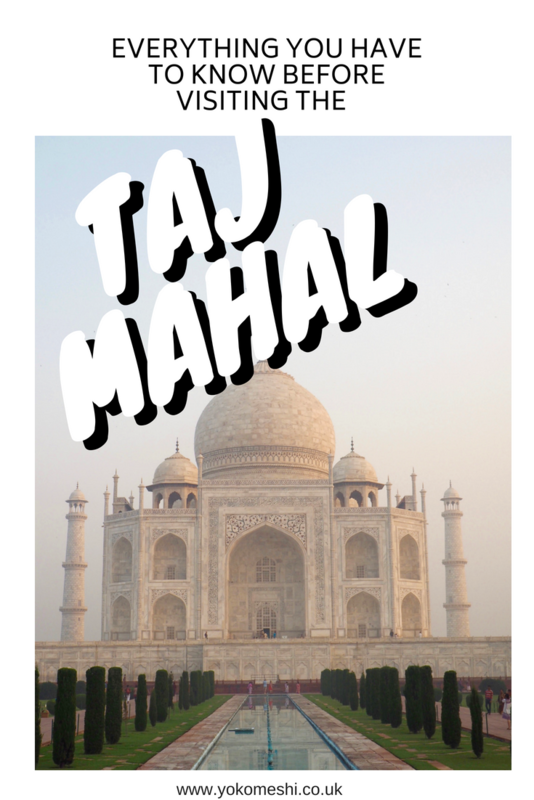 The Taj Mahal was built in her honour. The majority of people make a visit to the Taj Mahal as part of the Golden Triangle and will tend to head there after visiting Delhi. There are modes of transport you can take but one of the most popular is by train. You can find out more about how to travel from Delhi to Agra by train and other modes of transport by following the link. 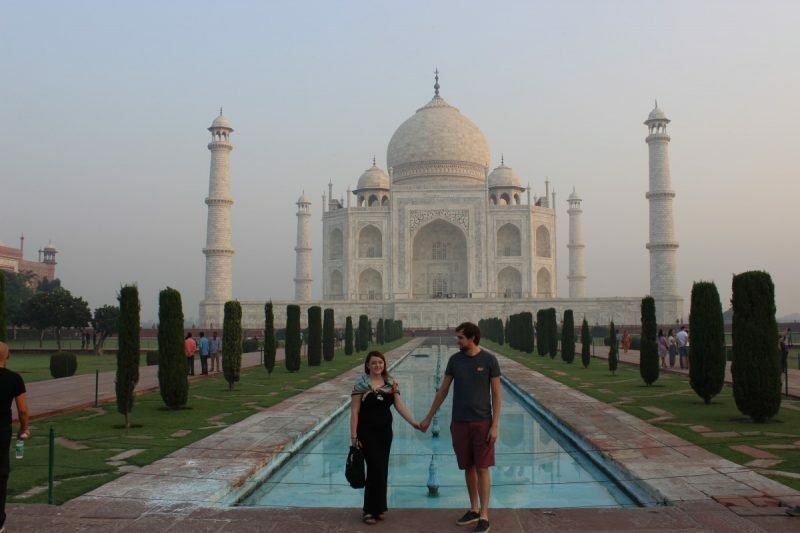 Our trip to Agra was part of a private Golden Triangle tour so we travelled via car, however, if we were to visit again I would love to go via train to really get the full experience. 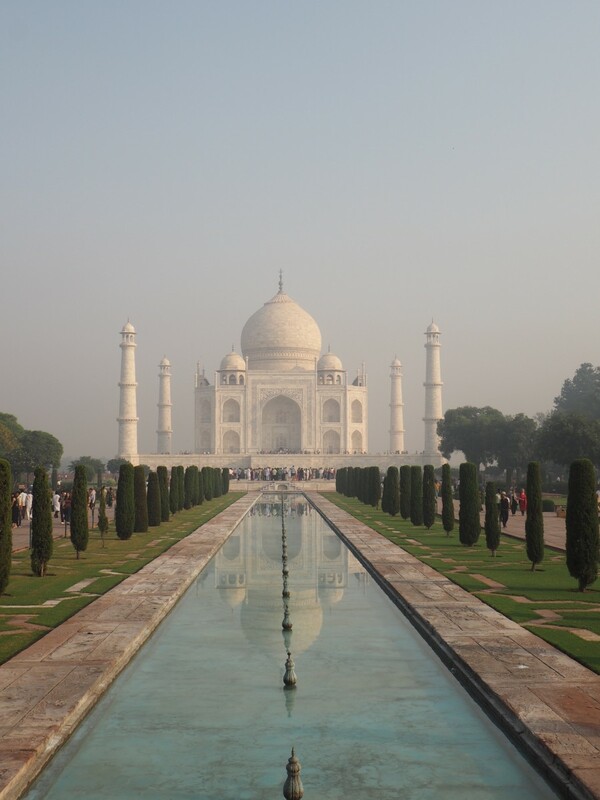 Whether it is a tour just for the day or it is part of your Golden Triangle tour. One of my top tips for the Taj Mahal is to have a guide with you, not only was our guide on hand to answer all of our questions, he took photos of us together so we did not have to pay a photographer and most importantly he knew his way around – which was especially important for helping to get us into the Taj Mahal within the first thirty people of the day. Visiting hours of Taj Mahal is from sunrise to sunset every day, apart from Fridays when it is closed. 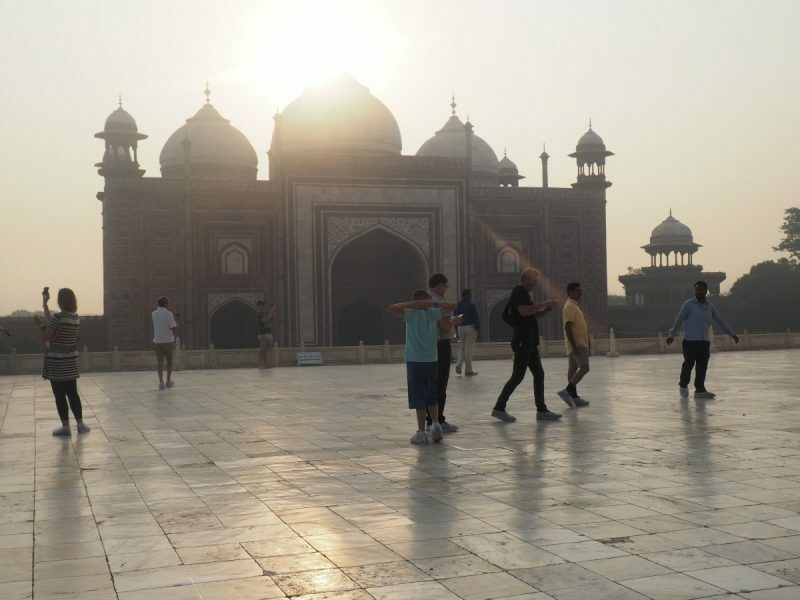 Find out the time of sunrise for your visit and aim to arrive at the site at least one hour before, this will allow enough time to buy your entrance ticket (Taj Mahal entry = 1000 Rupees) as soon as the office opens and then jump in one of the electric vehicles which will take you up to the queue line. We may have been extremely lucky on our visit, but everyone has commented on the lack of people in the background of our photos. Below is a photo of two hours after opening and as you can see there are a lot more people around. Unfortunately, the closing time means that you cannot visit the Taj Mahal at night. There is not actually a dress code for the Taj Mahal but with everywhere else in India it is advised to dress respectfully – covering your legs and shoulders. 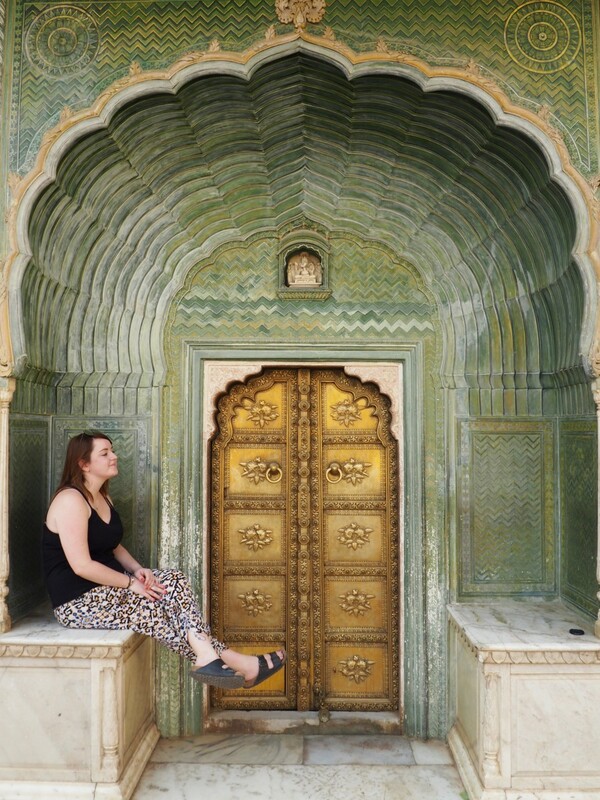 For more information on how to dress in India, see our What to wear in India guide. From a fashion point of view, remember these will be photos you will want to share for the rest of your life, therefore I opted for a black maxi dress and added in some colour with a bright shawl which I used to cover my shoulders. This is simply to protect the building, shoe covers are provided for free so please be respectful and wear them. We were told that the guards are also not too forgiving of people who do not play by the rules. 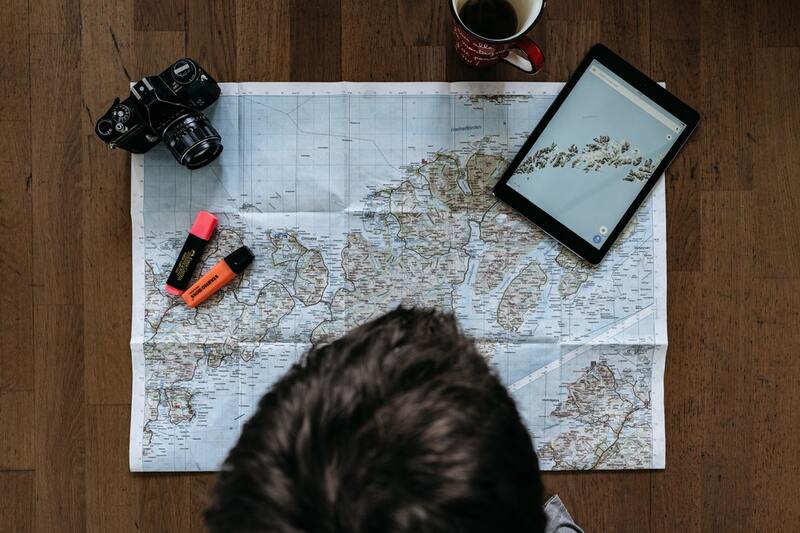 Before you enter, yourself and your bag will be searched, there is a whole host of items which you cannot bring in with you, this includes food, selfie sticks, camera tripods and drones. 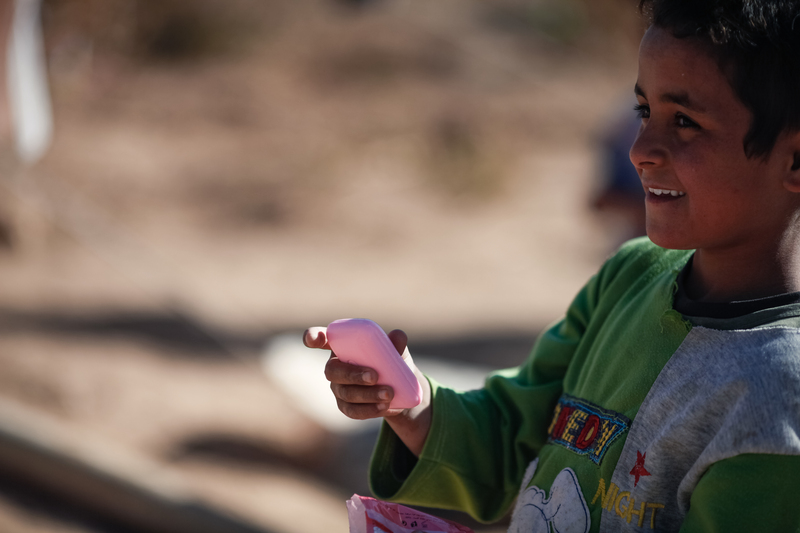 Save yourself the hassle by only bringing in the things you need – a camera, a small amount of money and some water (all foreign visitors receive a free bottle of water with their entrance ticket.). Read all the books and learn all about the history, because it is fascinating, it will also help you to understand everything while you are there. For example, did you know the palace was designed so that everything would fall away from the mausoleum in the event of a collapse? or everything in the Taj Mahal is in perfect symmetry apart from Shah Jahan’s cenotaph which is positioned west of the central axis. Photos are allowed everywhere in the grounds apart from the inside the mausoleum, guards are also around to ensure this does not happen. I have also heard many people skip this part due to the queues, but I found they moved very quickly and I thought it was worth visiting the inside of the Taj Mahal as well. Surprisingly the biggest queue I saw was the bench where Princess Diana sat for the iconic photo, so if you would like to replicate that photo be prepared to wait. If not there are plenty of other benches around for posing. The Taj Mahal is known for incredibly intricate interior design. Semi Precious gems, as well as breathtaking domes and arches make for a magical day of exploration. This is in contrast to the actual crypt, which remains plain as per Islamic tradition. 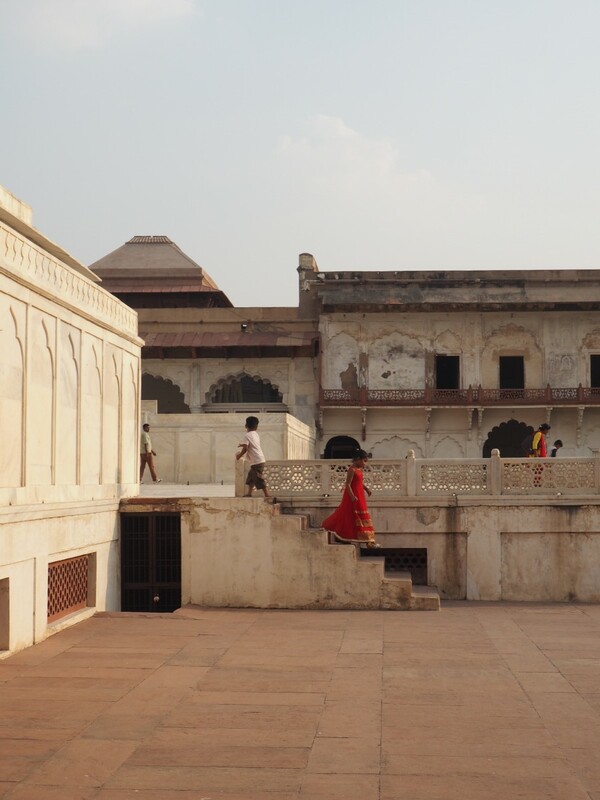 Aside from the Taj Mahal the only other thing really to do in Agra is visiting the Agra Fort – which I recommend. Furthermore, there are not many places to visit in Agra at night, so most people only spend one day in Agra. So do not worry about allocating too much there, the most popular route from here tends to be Jaipur or Delhi. We stayed in the Hotel Parador which also has a fabulous restaurant called Bon Barbecue attached. Across the water is the Mehtab Bagh and Mughal Gardens, for just 100 Rupees you can sit on a wall while the sun goes down alongside the Taj Mahal. It can be busy but nowhere near as busy as inside the grounds and I thoroughly recommend taking in this view from this vantage point as well. On this side, we were told to watch our bags extremely closely for pickpockets. 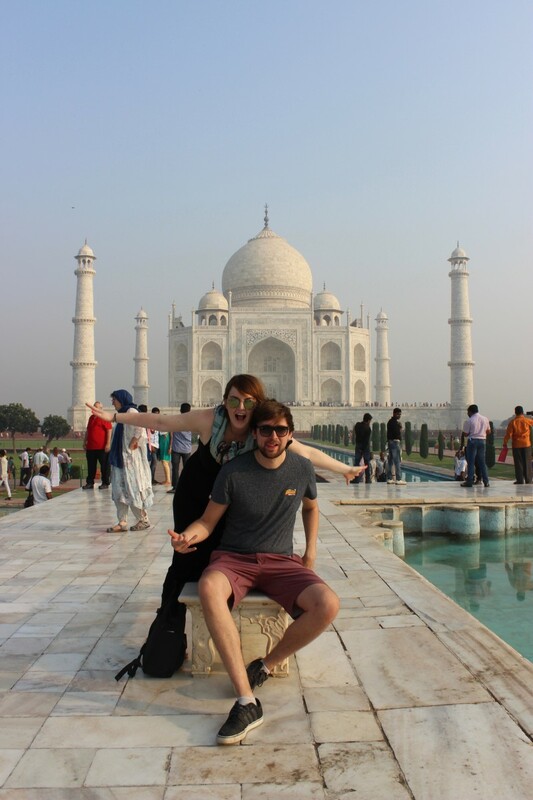 I will not lie, I was slightly worried the Taj Mahal would not live up to the hype but for me it really did. 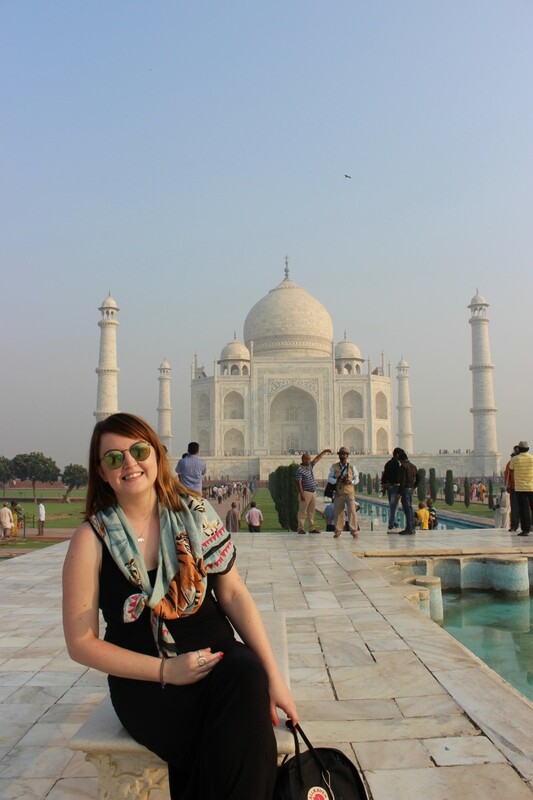 There are not many places I have visited where I have actually gasped on arrival, the Taj Mahal is every bit as beautiful as it is in photos, take your time and take in every little detail and try to keep in mind the story of why this wonder of the world was built in the first place. 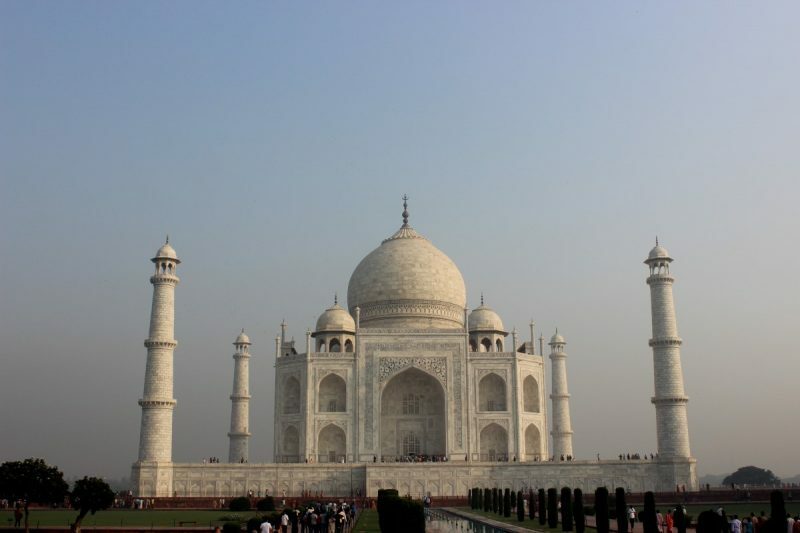 I hope you have found these tips for visiting the Taj Mahal helpful, it is truly a once in a lifetime experience. It is important to plan well to ensure you have the best experience when visiting the Taj Mahal, one of the wonders of the world. 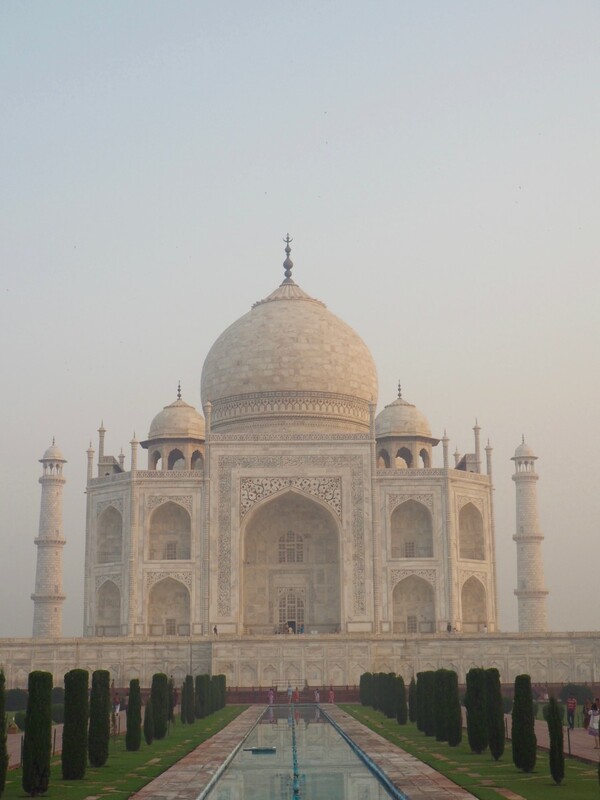 Oh the Taj Mahal is such a stunning building! Definitely a must-visit when I finally get to India. It’s good to know it’s just as impressive as in the pictures too! I honestly felt so worried it would not live up to expectations, but honestly it really did, it takes you breath away from the sheer size of it! 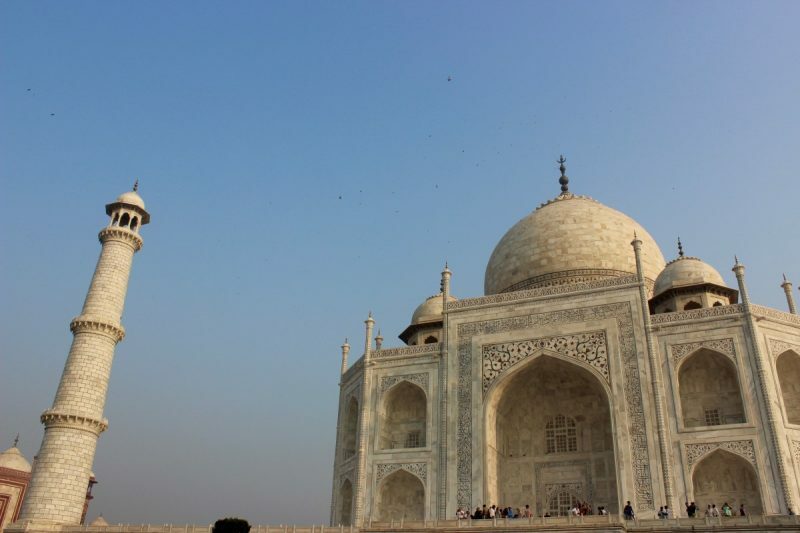 I’ve visited the Taj before and whole heartedly agree on these tips! One thing I did experience like other places in India was that a lot of people wanted photos with me. Did you find the same?